is that yam yam ? Wheres the ot6 picture though!? I feel like previous teasers looked more like "Lots of love" But oh well, the pictures are great, especially Umji and Yerin. I don't like Sowon's dress and hope to never see it again (maybe if they removed this ruffle...), but other than that I have no complaints. 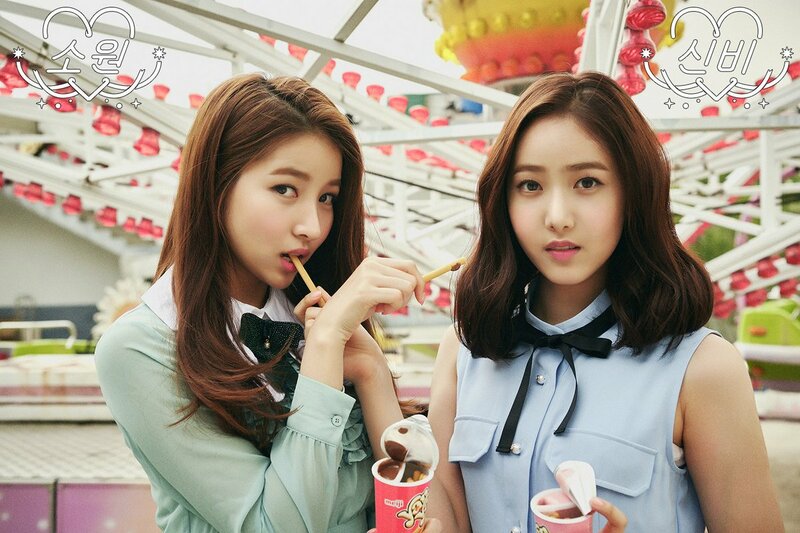 MV theory: Umji, yerin, eunha and yuju are having fun at the amusement park when bad girl bullies Sinb and Sowon come and spoil the fun? I like both version omg. I cant choose which one to buy. SouMu is really going all out for this! Lots of Lov.. They changed from Lots of Love to shortened Lots of Lov... To make it cuter? ?